Scroll below to see the complete Walt Disney World 2019 calendar with crowds and new attraction offerings to help you decide when to visit Walt Disney World. Walt Disney World had over 20 million guests enter the Magic Kingdom alone last year. This can mean for some very big crowds! To help you avoid these influxes of guests, take note of the following tips and guidelines below. Most weekends will be busy no matter when you visit the resort. Disneyland has a larger influx of crowds on the weekend due to their large amount of annual passholders. While Disneyland is very much a park for the locals, Disney World seems to cater more towards tourists. Still, the locals love to take to the resort on the weekend. The Gay Days organization visits the parks in August. This event can bring up to 200,000 people to the Orlando area. January through the beginning of May is what many call the “off-season.” These weeks have the least amount of crowds, but some of the shows will not be running, and some rides begin to close down for their yearly refurbishments. Be sure to check the park schedule! It is released 180 days in advance, so you’ll be able to plan ahead! We’ve created an infographic that will clearly help you when to visit Disney World. The information included in our best time to go to Disney World calendar is basic Disney World crowd levels, park hours, and weather. Be sure to check the Disney World calendar on the official Walt Disney World website for more info on closures, entertainment schedules, and other info. This will help you to decide when to visit the resort. Below I have compiled a listing of Disney World events and special calendar items to be aware of when deciding the best time to go to Disney World during 2019. All of these openings and special events will greatly affect the 2019 Disney World crowd index. The EPCOT International Flower and Garden Festival begins in March. The display of stunning gardens and fun shows can entertain any guest! Gay Days will be visiting the parks May 31 – June 3. With the event drawing nearly 200,000 people to the Orlando area, you can expect the parks to receive a large influx of guests. 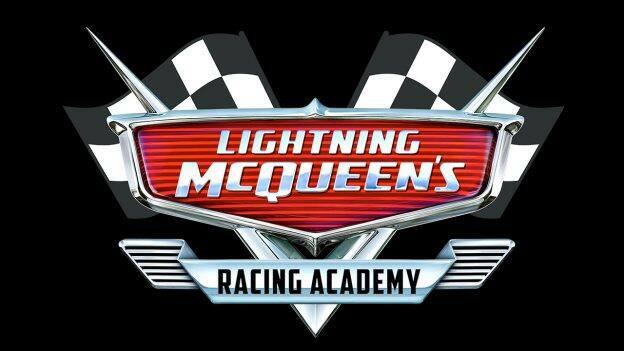 Lightning McQueen’s Racing Academy rolls into Disney’s Hollywood Studios on March 31st. In this new show experience, you’ll come face to face with Lightning and learn from his years of experience on the track. Star Wars: Galaxy’s Edge opens at Disney’s Hollywood Studios on August 29th. Pixar characters help Disney’s Hollywood Studios celebrate its 30th anniversary this summer and Walt Disney World will feature An Incredible Celebration at the theme park, featuring Mr. Incredible, Mrs. Incredible and Frozone in “The Super Shindig” dance party. You can also meet Edna Mode and Mike and Sully from Monsters, Inc. The Tree of Life in Animal Kingdom will awaken to honor “The Lion King.” Starting Memorial Day weekend and appearing nightly through Sept. 30, stunning projections on the iconic tree will feature music and animation paying tribute to the classic film. Guardians of the Galaxy- Awesome Mix Live! returns to Epcot featuring Star-Lord and Gamora taking guests on a musical journey through the cosmos showcasing hits from Star-Lord’s mix tapes. Live shows take place daily from June 14 through Aug. 18. The new “Wonderful World of Animation” Nighttime Show debuts in Hollywood Studios in May 2019. The show will feature projection technology, taking guests on a journey through 90 years of history of Disney animation. Mickey’s Not So Scary Halloween Party takes place on select nights in the Magic Kingdom from the end of August until Halloween. On nights featuring the party, Magic Kingdom closes to most guests at 6pm. Enjoy special events exclusive to the party’s guests such as a themed parade and trick-or-treating! EPCOT’s International Food & Wine Festival begins in September. Enjoy sampling a large range of cuisines and attend foodie events and seminars. The new attraction, Mickey & Minnie’s Runaway Railway at Hollywood Studios is set to open in Fall of 2019. This first ever themed attraction to Mickey will feature a new story and theme song as guests are taken on an adventure through Disney Channel’s Mickey shorts. Epcot Forever will debut in Fall 2019- this is the show set to take the place of IllumiNation and will feature classic Epcot music, fireworks, music, lasers, lighting, and special effects kites. Disney Skyliner Gondola will also debut in Fall 2019- this new transportation system will connect Hollywood Studios and Epcot along with five Disney World hotels. Disney’s Riviera Resort– the new Disney Vacation Club property- is set to open in Fall 2019. Mickey’s Very Merry Christmas Party takes place November through December. On nights of the party, Magic Kingdom will close at 6pm so the party can start at 7 where you can enjoy the most magic of Disney theming. Disney LOVES Christmas. The guest-favorite Candlelight Processional begins the end of November and continues until just after Christmas. In this Christmas classic, a celebrity narrator recounts the traditional story of Christmas along with a massive choir and 50-piece orchestra. Mickey & Minnie’s Surprise Celebration at Magic Kingdom Park begins January with specialty food and “Move It! Shake It! MousekeDance It! Street Party” in front of Cinderella Castle. The Festival of the Arts will run January 18 through February 25, with the Disney on Broadway Concert Series expanding to seven days a week during the festival. Christmas decorations and shows continue into the first week or so of January before they are removed, so you can still catch the magic of Christmas at Disneyland, but with lower crowds! Other than Martin Luther King Day Weekend, the crowd levels are a lot lower than their Christmastime counterparts. According to historical averages, January will be the coldest month of the year at Walt Disney World. Some attractions will be closed down for their yearly refurbishments. Be sure to always check the park schedules on the official Walt Disney World website to be sure whether or not your favorite experiences will be offered the days you’re planning to travel! The Incredibles are coming to Disney’s Hollywood Studios, as Pixar Place will transform into a Municiberg city block. Celebrate the 25th anniversary of Walt Disney Pictures’ “The Lion King” at Disney’s Animal Kingdom along with Timon and Rafiki in the “Hakuna Matata Time Dance Party” on Discovery Island. Walt Disney World Marathon Weekend takes place from Jan. 9-13th. There are runs for fans of every age, including children races and a half marathon, along with a 5 and 10K. Brave runners can accept the Disney Two Course Challenge by combining the 10K and half marathon to earn the Challenge Medal. We’ve all heard those famous words after someone wins the Super Bowl, “I’m going to Disney World!” It’s tradition for a member of the winning NFL team to be featured in a Magic Kingdom parade the Monday after the Super Bowl. If you’re a fan of the team, you won’t want to miss this opportunity! February is a great month to visit the Walt Disney World resort. The weather is cool, but not too cold, and the crowds are pretty low. It’s also a great time to see the park without any seasonal decorations if you just want to see it as plain vanilla. President’s Day Weekend does see a large increase in crowds during the middle of the month, so we suggest to try and plan around that. EPCOT Festival of the Arts continues until about the middle of the month. This event features food, performances, and art from all around the world and from all different cultures. 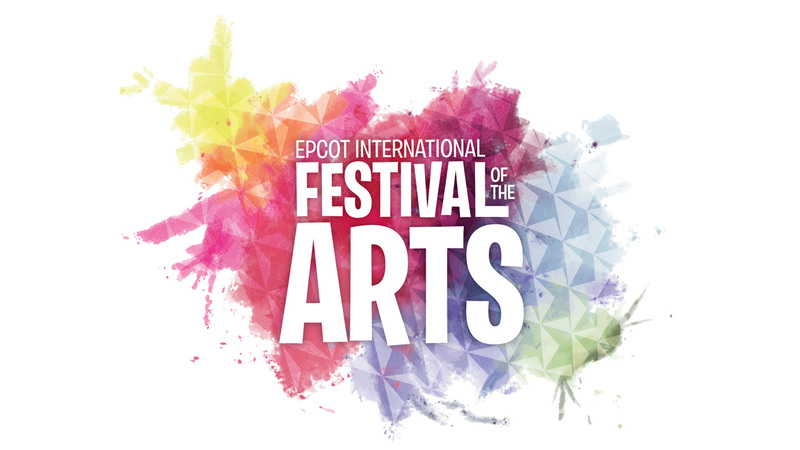 Festival of the Arts features tons of live shows and even performances from Disney on Broadway! Disney Princess Half Marathon Weekend takes place from Feb. 21-24th. There are runs for fans of every age, including children races and a half marathon, along with a 5 and 10K. Brave runners can accept the Disney Two Course Challenge by combining the 10K and half marathon to earn the Challenge Medal. Mickey & Minnie’s Surprise Celebration at Magic Kingdom Park continues with specialty food and “Move It! Shake It! MousekeDance It! Street Party” in front of Cinderella Castle. March marks the beginning of bigger crowds. After the first week, which is relatively light, crowds increase as the Spring Break season begins. March also marks the end of a lot of attraction refurbishments. ng begins to bloom at Disney World as the Epcot International Flower and Garden Festival begins! This annual event brings beautiful gardens, playgrounds, and great entertainment! Even if you aren’t into gardening, be sure to get a picture by the freshly trimmed hedges near the Imagination pavilion. Participate in the Egg-stravaganza scavenger hunt and search high and low for eggs around the World Showcase that depict your favorite Disney characters. The required map and sticker set is available for $5.99, and when completed you can return it to a cast member for a prize! With Easter falling in April, you can expect larger crowds most days. Don’t worry though, as April usually means longer hours of park operation and some of the best weather of the year! Star Wars Rival Run Weekend takes place the April 4-7th. If you’re a Star Wars fan, you won’t want to want to miss this event. There are runs for fans of every age, including children races, a half marathon, and a 5 and 10K. With May bringing the beginning of summer, the water parks begin to open more consistently. The weather becomes warmer, and park hours extend. School is still in session for most, so the crowd levels are typically slightly below average. most rain out of any month of the year with an average of over 8 inches! Despite the rain, the water parks are open daily and are uncrowded during the first and last parts of the day. When in the parks, be sure to pack your ponchos! Storm season intensifies as we reach the height of summer vacations. Crowds will be large, but it’s not the end of the world. You’re still at Disney World for goodness sake! Rain becomes a question of “when” rather than “if”. The average chance of precipitation each day is 70%. The water parks see their longest hours of operation of the year. ney World is a fantastic place to celebrate the 4th of July. The spectacular “Disney’s Celebrate America!” fireworks show is on the July 3rd and 4th. IllumiNations with Heartbeat of Freedom Tag in EPCOT is presented on the 4th and is quite the spectacle. Visit EPCOT on the Fourth of July to experience extra performances of the American Adventure and see your favorite characters in their special patriotic attire! Guardians of the Galaxy- Awesome Mix Live! continues to run at Epcot featuring Star-Lord and Gamora taking guests on a musical journey through the cosmos showcasing hits from Star-Lord’s mix tapes. August is the light at the end of a largely crowded season. It’s the last month of the summer and most K-12 students are back in school towards the end of the month, meaning it can be a great time to visit! The lingering summer heat makes August another great month for the water parks. August isn’t typically a month that introduces much to the park in ways of events or new decorations. While most K-12 schools are back in session, some college classes have yet to start, meaning a great time for a trip! Although, this summer will be a different story with crowd levels as Star Wars: Galaxy’s Edge opens! Star Wars: Galaxy’s Edge will open August 29th in Disney’s Hollywood Studios theme park. Gay Days will be visiting Walt Disney World August 13th through 19th. This event can draw nearly 200,000 people to the Orlando area. Many of them visit the parks, so you can expect a large increase in park attendance during this event. The celebration moves through the parks with Thursday at Animal Kingdom, Friday at Disney’s Hollywood Studios, Saturday at Magic Kingdom and Sunday at Epcot. Guardians of the Galaxy- Awesome Mix Live! continues to run until Aug. 18th at Epcot featuring Star-Lord and Gamora taking guests on a musical journey through the cosmos showcasing hits from Star-Lord’s mix tapes. 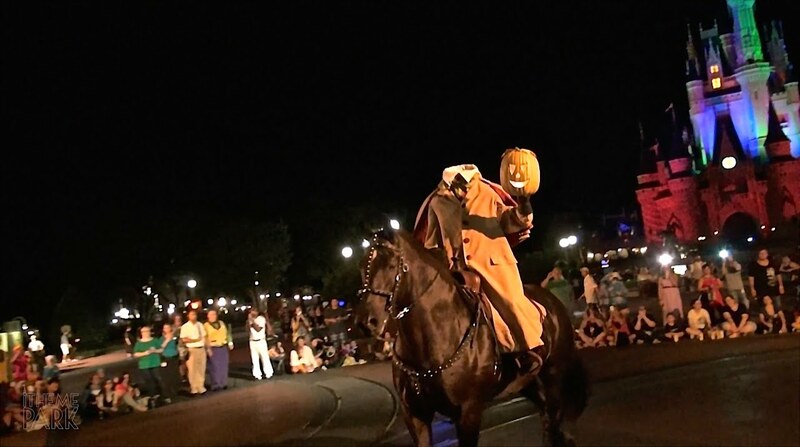 September marks the beginning of Halloween at Disney World. Decorations pop up around all the parks, and the weather improves. With school back in session, crowds become light, especially after Labor Day weekend. Since it can be considered to be a part of the “off-season”, you can expect cheaper airfare when traveling. begins on select nights in the Magic Kingdom. On nights featuring the party, Magic Kingdom closes to most guests at 6pm. Enjoy special events exclusive to the party’s guests such as a themed parade and trick-or-treating! Wear your best costume and be prepared to eat lots of candy! This is a separately ticketed event. EPCOT’s International Food & Wine Festival begins. Enjoy sampling a large range of cuisines and attend foodie events and seminars. September is a great month for the Free Disney Dining Plan. This is a promotion used by Disney to entice guests to visit the resort during the lesser attended times of the year. Unlike other times this promotion is offered, September features no blackout dates. That alone should tell you how low you can expect the crowds to be. Discounts can be found on hotel rooms! It can be expected to find discounts of up to 30 percent! Mickey & Minnie’s Surprise Celebration at Magic Kingdom Park runs until Sept. 30th with specialty food and “Move It! Shake It! MousekeDance It! Street Party” in front of Cinderella Castle. ary Halloween Party continues and begins to get more crowded the closer you get to Halloween. The party is also featured on more nights. This can be a good thing or a bad thing. If you aren’t attending the party, you’ll be asked to leave the Magic Kingdom at 6pm so the party can start at 7pm. We suggest trying to attend the event on a school night to avoid large crowds. The Walt Disney World Swan and Dolphin Food & Wine Classic takes place in October. The festival that compliments the one in EPCOT, but is a standalone event. October crowds have been growing in the past few years as groups are beginning to postpone their summer vacations to take advantage of the better pricing and discounts the Fall has to offer. Despite the influx of guests, the crowds are still rather manageable. Thanksgiving weekend introduces a large number of crowds that stay pretty persistent throughout the Christmas season. Jersey Week occurs the Thursday and Friday during the first week of November. It’s a real thing! New Jersey schools dismiss and a lot of them find their way to Disney World. Surprisingly a low impact on the overall crowd levels. The beginning of the month features the Disney Wine & Dine Half Marathon Weekend running from Oct. 31-November 3rd. There are runs for fans of every age, including children races and a half marathon, along with a 5 and 10K. Brave runners can accept the Disney Two Course Challenge by combining the 10K and half marathon to earn the Challenge Medal. November is the beginning of the Disney Christmas season! It also marks the start of Mickey’s Very Merry Christmas Party that runs through December. Like the Halloween Party, the Christmas Party takes place in the Magic Kingdom as a separately ticketed event starting at 7pm. We recommend attending on a school night in November before the parties get too crowded. The Christmas season plays host to the largest crowds of the entire year. Some parks even reach their capacity. That being said, there is a lot of entertainment and special offerings available during this time of the year. Disney LOVES Christmas! Mickey’s Very Merry Christmas Party continues and gets more popular. On nights of the party, Magic Kingdom will close at 6pm so the party can start at 7pm. Christmas shows begin around the parks. Jingle Bell, Jingle BAM! takes the stage in Hollywood Studios, Illuminations: Reflections of Earth gets a holiday tag in EPCOT and many more! The Pop Warner and National Cheer & Dance Championship usually takes place the first week of December at the All-Star Resorts. Try avoiding this resort if you can during this week. New Year’s Eve fireworks are quite the spectacle. What better way to bring in the New Year than by counting down to it with your favorite mouse? Throughout the year there are a few huge special events that make the parks extra magical. Disney loves Christmas, and it’s no secret! Beautiful, frosty icicles light the Castle, Wreaths and red and green Christmas lights adorn the buildings on Mainstreet, and Mickey’s Very Merry Christmas Party begins! I highly recommend visiting during Christmas; however, you should anticipate a steady stream of crowds if you are there the week of Christmas through the first week of January. The best time to visit and see the Christmas decorations is the first two weeks of December or the second week of January. The theming doesn’t stop in just the Magic Kingdom. Christmas cheer is abundant and is felt throughout all of the parks and resorts, even Disney Springs! There will be Christmas decorations everywhere you turn ready to take your breath away. We hope you love the smell of gingerbread! Halloween is another great time for theming around Disney World. Pumpkins take the street, decorations are hung, and Mickey’s Not So Scary Halloween Party begins! This year there will be a new record of how many Halloween parties take place (possibly up to 30!). If you enjoy lots of candy, characters in their Halloween costumes, and candy (did I mention candy? ), you’ll love this time of year. In the summertime, Disney often opens new experiences and attractions. You can usually expect that the first few weeks/months after these experiences open to be fairly busy as guests flock to see the new attraction or show. Unfortunately, there is no right answer to how long your trip should last to Walt Disney World. Of course, all of us wish it could last forever, but alas. The recommended length of stay will fluctuate based on who you ask. It’s popular opinion that even with a two-three week stay at the Walt Disney World resort, you STILL wouldn’t be able to accomplish everything you set out to. With four theme parks, two water parks, four golf courses, nearly 30 hotels, and so much more, it can be difficult to get everything done on your list. A solid recommendation is at least a week. That will give you some time to relax while still getting a good amount of days in the parks. Try going with the mindset that you’ll be returning someday. This usually makes it easier if you miss something you had hoped to do if you can think, “next time.” And be sure to plan your trip early! The best way to book your Disney World resort vacation is to create a travel package by working with a travel agent. Be sure to check out our pros and cons for each Disney World hotel as you consider. We work with Get Away Today, Disney’s travel partner of over 29 years. MickeyVisit.com has been working with them for about 3 years now, and we have been blown away by their customer care and ability to help Disney visitors find incredible discounts. We negotiated an exclusive rate just for our readers which you can secure by either visiting their website directly and putting your vacation together yourself and filling out our VIP concierge support here (all free of charge) or calling 1 (855) 438-2929 and asking for the Mickey Visit rate. We are currently expanding all of our Disney World planning guide content here on MickeyVisit.com. Below we have also included some of our fantastic content about planning a Disney Vacation on the West Coast at Disneyland.